When it comes to privacy and security, Facebook usually leaves much to be desired. There are ways to ensure your privacy with it, but usually those settings are buried deep and hard to find. Privacy and security features are usually an afterthought for Facebook users, but Facebook looks to be changing that image. 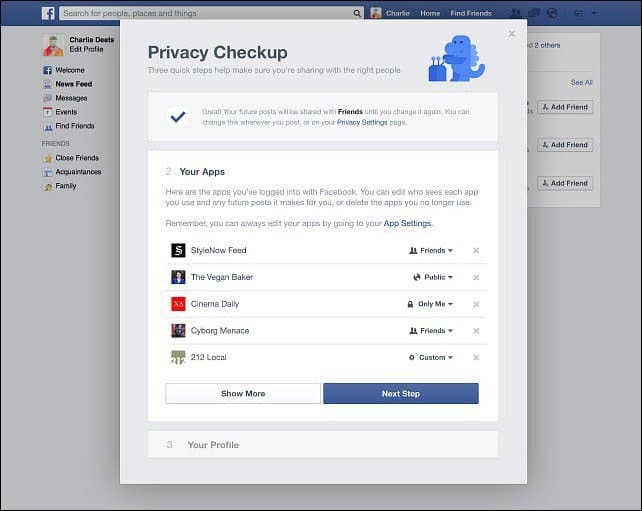 The company announced the rollout of its Privacy Checkup tool this week. It allows you to review and control who your sharing your personal data with. 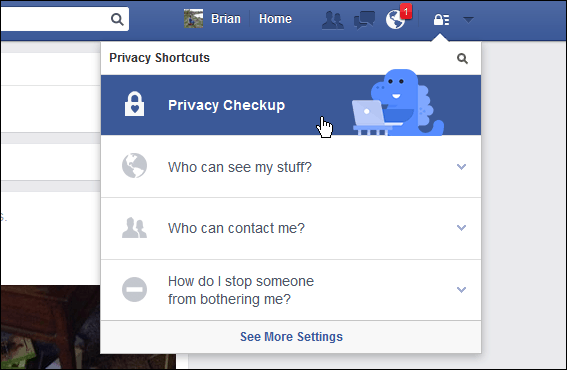 it’s simple to run, and you’ll find it under the Privacy shortcut on the Facebook menu bar. As it’s rolling out to all accounts though, you should see a message pop up urging you to check it out. I am usually skeptical of anything that pops up on my Facebook profile, but in this case, it looks like you’ll want to. The first step verifies who you want to share posts with. The next step shows the apps you’ve logged into Facebook with, i.e, about.me, Spotify, Instagram…etc, and the last step lets you edit the privacy of different info on your profile. The Checkup tool guides you through basic privacy features that you should already have set up, but a surprising amount of users don’t. The objective of this to me seems like the company is putting together a “good faith” effort in allowing its users to help control their privacy easier. This is something Facebook should have provided years ago. Or better yet, the company should of made privacy and security setting easier to maintain in the first place. Instead of having all of your settings wide open by default. Facebook is a giant database, an everything it does is for a reason. Facebook is using that data as a means to learn more about you so it can serve up more relevant target ads. But I digress…this is something everyone should use to double check their profile.